Searching For Staining in the Chattanooga Area? If you’ve been thinking about a Chattanooga staining service for your home, then get in contact with our guys at Williams Painting Company. We’re able to stain your deck or patio to make it last and to bring out the beauty in it. Make an appointment with us and you’ll see how well we can transform your deck. Wood weathers after some time. Lots of times the homeowner just ignores the problem and then years later tries to return to the project only to find that he/she is to late. There is a simple solution to preserving your deck or patio. We have the answerer o your weathered wood problem and that’s staining. Staining helps with the beautification of your home while bringing more curb appeal to it. 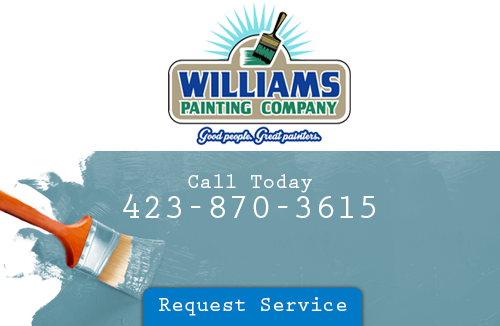 Call Williams Painting Service for more advice on your staining options. Before any type of staining occurs, we prep your patio by cleaning it of all impurities. You can’t put a stain over dirt and mildew. You need a clean workable surface in order to have beautiful and clean looking patio area. When you need to take advantage of a Chattanooga staining service, then please contact the professionals who can bring out the best in your home and that’s-Williams Painting Company. We realize just how much your home means to you. 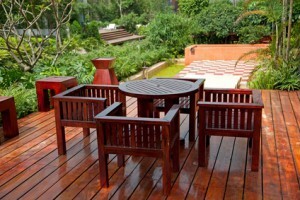 Your patio may also need to be sanded before the staining happens. Sanding a patio will allow for a much smoother surface. We’re the ones that can do all that for you. You just need to contact us. It’s as easy as that. In order to take advantage of our services, you’ll need to pick up your phone, or fill out a request form online, and get in touch with us. There are different types of stains. Water-based & oil-based are the most desired types. More people are flocking to the environmentally friendly options these days by going with a water-based stain. There’s no need for your deck to be stained every year as our staining will last you a lot longer than that. In order to have an outdoor seating area that’s going to last a long time, you will need to maintain it. Maintaining your outdoors means having your patio stained when it needs it. We want you to be able to enjoy your outdoors a little more this year. Go with a Chattanooga staining service from Williams Painting Company and you’ll notice just how much you’ve missed your outdoor area. We’ll bring all the beauty back into it. Our goal is to please you any way that we can. If you are looking for a Chattanooga wood staining contractor, please call 423-870-3615 or complete our online request form.